This is a rectangular Pevely Baby First Best Milk porcelain sign. This particular Pevely Baby First Best Milk sign is green and red with white text. 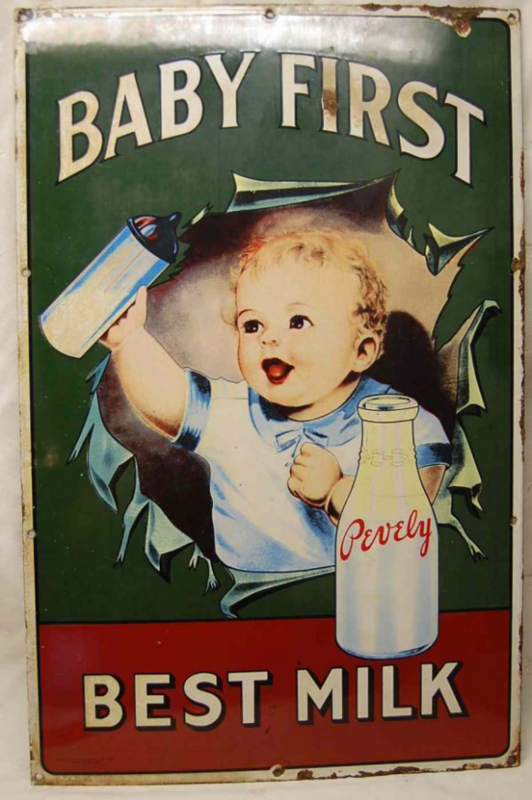 It reads, “Baby First Pevely Best Milk” and features a baby holding a bottle behind a Pevely milk bottle.